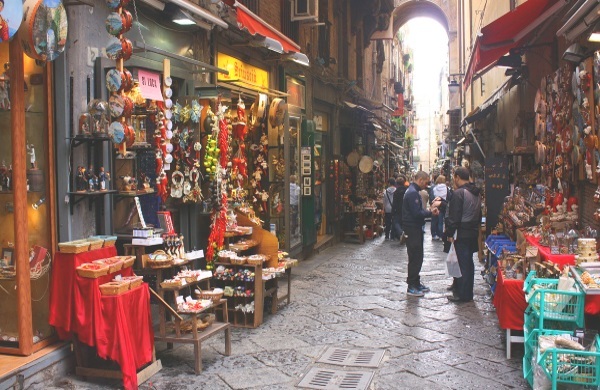 Naples is the third largest city in Italy with almost 1 million inhabitants. Naples has a lot to offer tourists. The old town of the capital of the region Campania and the archaeological museum are well known, which is especially famous for many pictures and objects from the cities Pompeii and Herculaneum destroyed by the volcano Vesuvius. Naples lies by the sea and is only a few kilometers away from the 1300 meter high volcano Vesuvius. Naples is one of the most dangerous cities for tourists in Europe. Every day tourists are robbed, robbed and attacked. In addition, many areas of the city are quite run-down and dirty, literally garbaged up. Almost every second young person between 18 and 25 is unemployed in Naples. Many get off on the wrong track and become criminals. The Camorra is still very active and comparable to the mafia in Sicily. 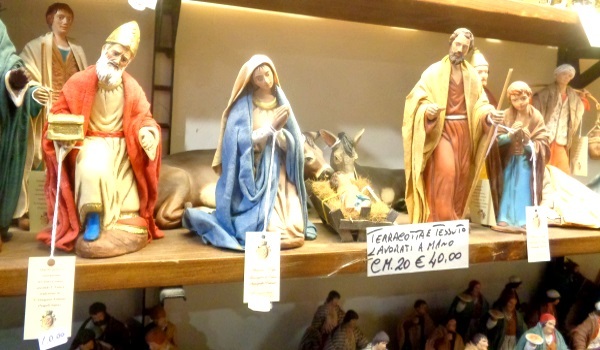 Many inhabitants are very religious in Naples, the Catholic Church is important. 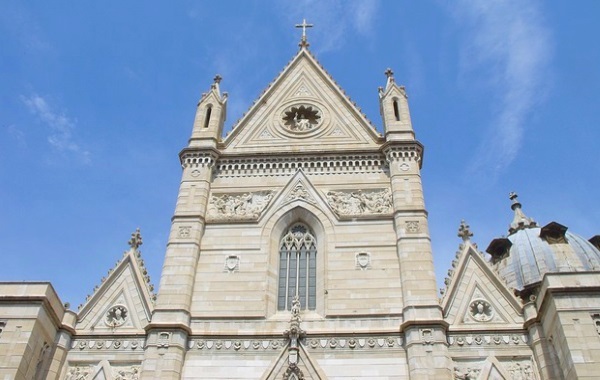 The cathedral of Naples, directly in the old town, is worth a visit. If you go to Naples, you have to go to the old town. There is always something going on here, the whole old town is a UNESCO World Heritage Site. There are thousands of shops and restaurants in the narrow streets. Many people loudly praise their products and food. In between there are illegal street vendors everywhere, mostly from Africa, musicians, beggars and pickpockets. One feels set back in another time, like 30 years ago. The Krippengasse is well known. Here, handmade cribs, crib figures and the like are sold all year round. What one also has to see in Naples is the National Archaeological Museum. All important finds from Pompeii and other places sunk during the volcanic eruption of 79 AD are exhibited in the museum. It is only a few hundred metres northwest of the old town. We have created an extra page about the museum. There is a subway (Metro) in Naples. Important for tourists is line 1, which connects the main station (stop: Garibaldi) with the Old Town and the Archaeological Museum (stop: Museo). Of course there are also many bus lines. As a tourist, one needs these especially if one has a hotel far away from the centre of Naples. High speed trains run several times per hour between Naples and Rome (about 1.5 hours). Before the main station, the narrow-gauge trains of the Circumvesuviana depart in southern direction. With these old, but well functioning trains, one gets 1-3 times per hour to the excavation Pompeii, to the tourist city Sorrento at the sea and to the excavation Herculaneum. Salerno and other places are served by normal trains of the Italian railway. From the central port in Naples there are many ferries, among others to the nearby islands of Capri, Ischia and Procida. There are also boat connections from the port of Naples to the large islands of Sardinia, Sicily and Corsica. There are more ferries in summer than in winter.